This article by Harvard Professor Kenneth Rogoff, published by Project Syndicate, is well worth a read. Check it out! 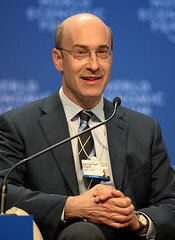 Inflation Is Still the Lesser Evil by Kenneth Rogoff – Project Syndicate. Personally, I think that the views of Kenneth Rogoff and Paul Krugman have converged significantly this year; however, they are both probably happy for some extra publicity to support their book sales. I agree with Kenneth Rogoff that modest inflation would stimulate growth, especially in Europe but the ECB still seems to be very conservative.